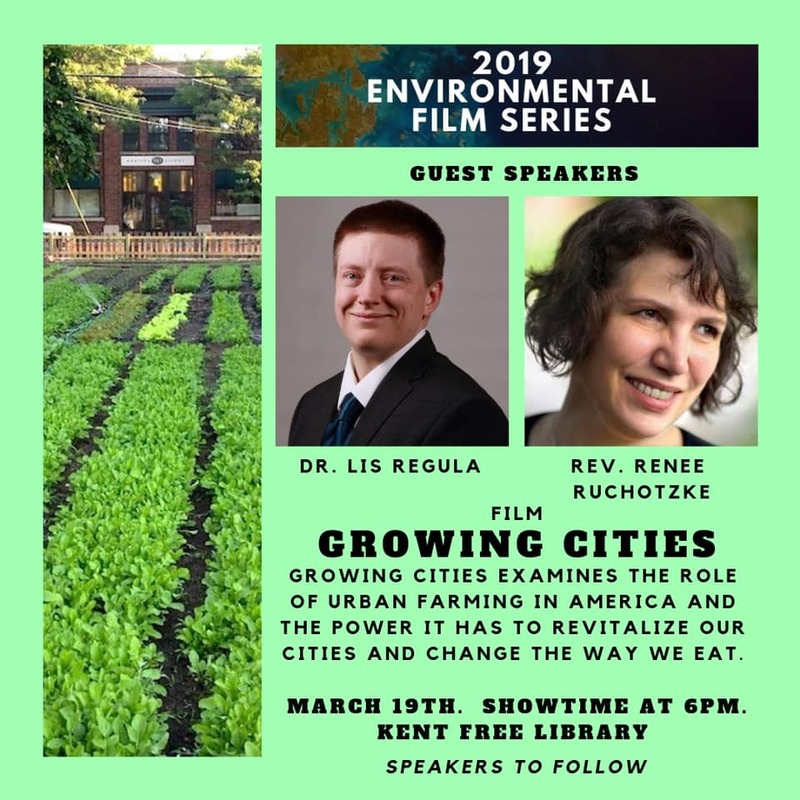 Screening of the film Growing Cities, which examines the role of urban farming in America and the power it has to revitalize cities and change the way people eat. Kent League members Dr. Lis Regula and the Rev. Renee Ruchotzke will speak after the film.